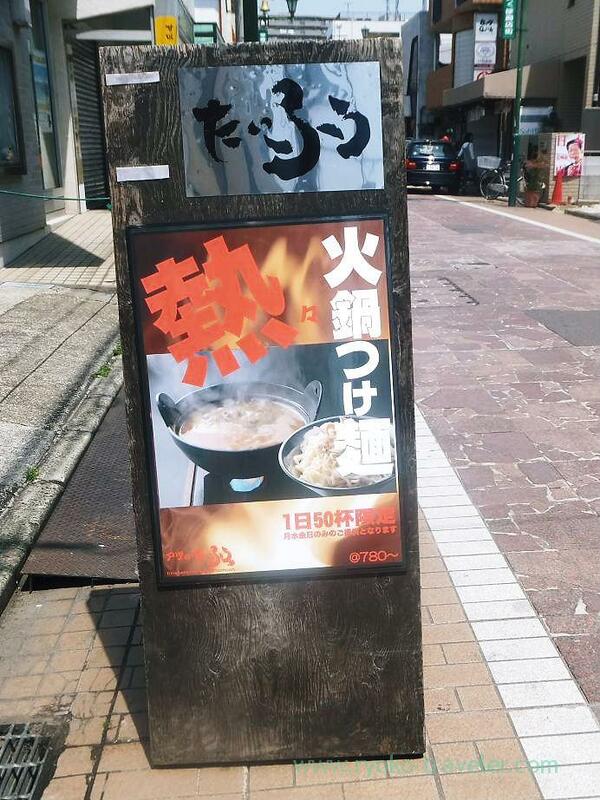 Notice : “Butatsuke soba & abura soba typhoon” already quit their business. Not, I jumped into the eye of a typhoon. The ramen house situated amid Keisei Okubo shopping street. I think the shop want to make line on purpose. This day, they served tsukemen. They serves alternately tsukemen and aburasoba every other day. They say whole pork bone is melted in the soup. 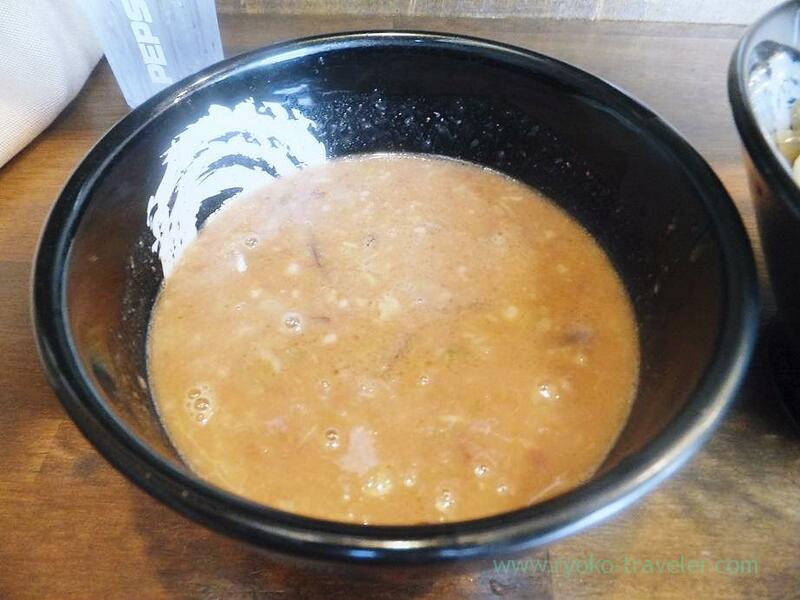 Judas’s ear in the soup. Judas’s ear was crisp and good. Noodles. 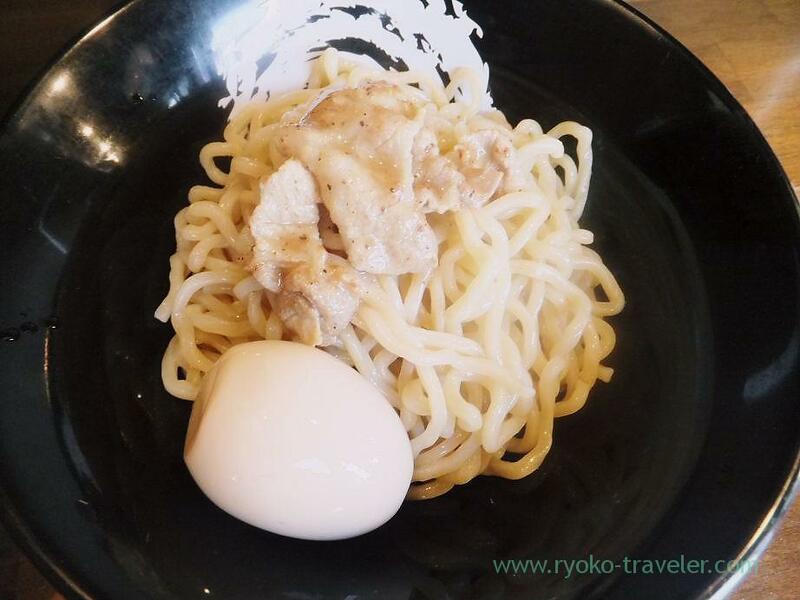 Pork meat on the noodles was containing in the price of tsukemen.I ordered a boiled egg with soy sauce. Egg was white looking, but actually, it tasted clearly soy sauce. It was a half boiled egg ! I thought I can’t eat everything, but I managed to eat everything. Very very thick.And there were minced pork that has settled at the bottom of a soup. …I think this tsukemen is for persons who have a good digestion. Well, Shun Shioya is a very weak presence as actor. Speaking of him, when I saw him at first, I mistook for Mizuho Takasugi. I thought Mizuho Takasugi became bad looking. As I see well, Shun Shioya is far from Misuho Takasugi.Why did I mistake ? I wonder if Tsukiji market will be crowded tomorrow.